Do you want to learn the secrets that successful professional musicians use to create amazing sounding recordings in the studio? 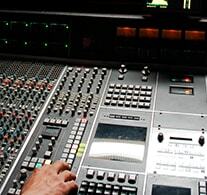 Would you like to know how to avoid frustrating and costly mistakes when recording your music? Most guitar players struggle greatly with playing perfectly in the recording studio and doing so under pressure of limited budgets or deadlines. Discover how to minimize the time needed to record perfect sounding guitar parts. Learn how to save A LOT of money in studio costs by minimizing the need for expensive editing of your guitar parts (this is HUGE and will help you to get more jobs as a studio musician). Develop the skills that will make you a highly valuable member of any band you will ever join. Become a MUCH more advanced guitar player and musician than ever before. Get INSTANT FREE access to this Studio Recording Guide For Guitar Players now. Simply enter your name and email, then click the "Give Me Access Now" button to enter. All of your information is always kept 100% private and confidential.